Misa is a brand that I'm not too familiar with. None of my local stores sell them, and it's safe to say that I've never bought one of their polishes on their website or even really heard anything about them! However another blogger, miss Lacquerized, featured their winter collection, I knew it was about time I invest in some. 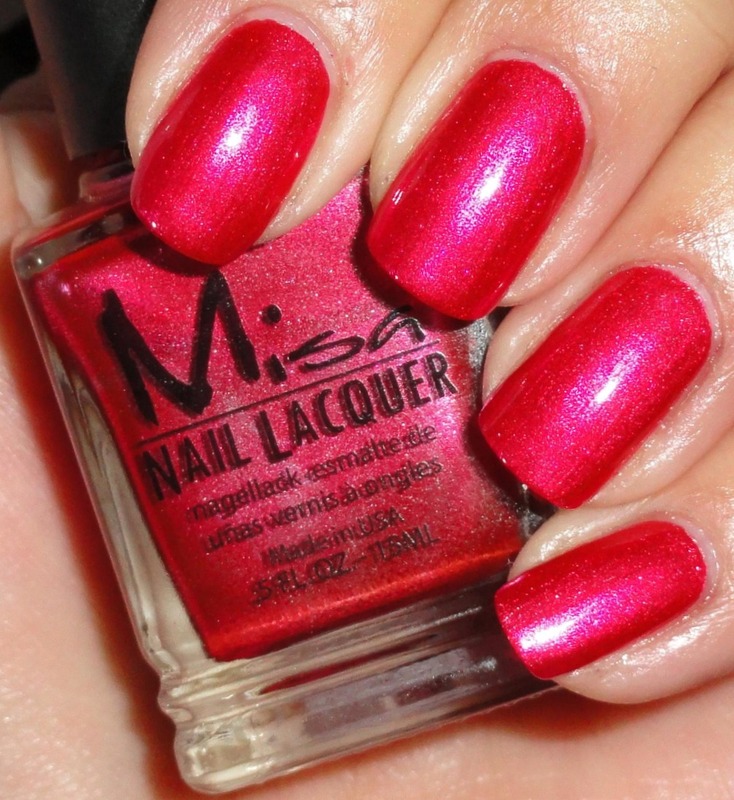 I now have five Misa polishes and I absolutely LA LA LOVE THEM! The bottle design is totally my style, square and chunky, and the brush handle is long but the brush end is nicely tapered. I found the formula on all of the polishes I bought (either from Head2Toe or on a blog sale) to be seriously excellent. This number is called Spark My Heart That's a Start, from the Spark My Interest collection. 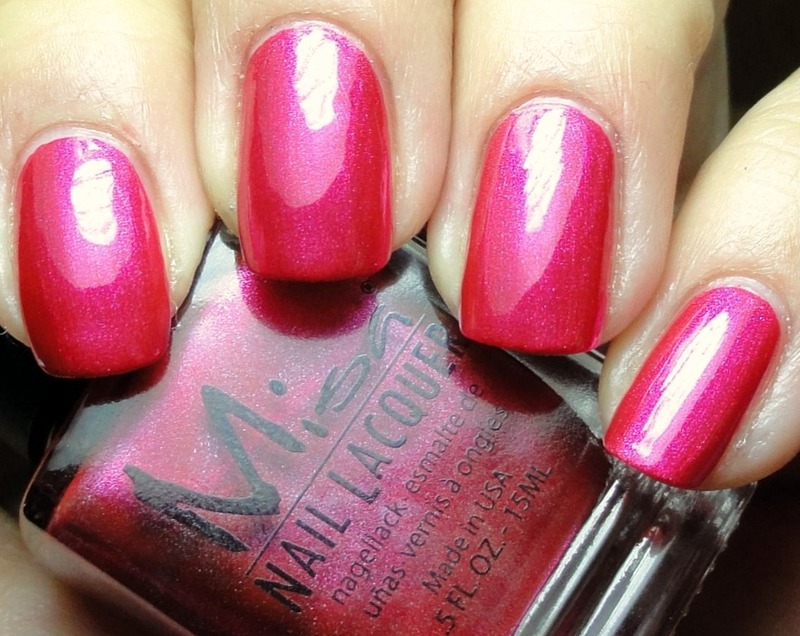 It's a fabulous electric coral red metallic with a bang of pink flash. Unlike any other polish I have and it wears really well! I really can't get over the formula, tho seriously. It really glided on my tips and stayed put for four days sans chips! This is two coats. Do you own any Misa polishes? I wish they were more out then when it came to advertising and it would be cool if they were available in salons and stuff.